5 March - Goldring in 2.5 hour New Zealand marathon! 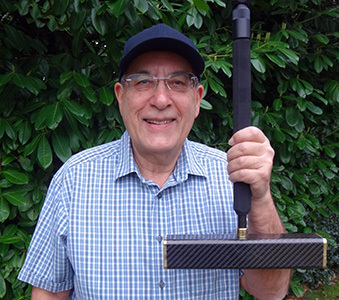 "My second tournament was the annual GC tournament at Pukekohe, about 35 miles south of Auckland. Our block had to play five 19-point games. I got off to a good start with two wins, the second against a -1. That second game had the unenviable distinction of being possibly the longest game I’ve ever played; someone said it had run for just under 2½ hours! The manager felt obliged to introduce clocks for the rest of the day! The last three games went against me, unfortunately, generally at the golden hoop. It was a very long summer’s day, with nine hours of croquet, the sun often very hot; the hosts were as ever friendly and hospitable, the whole day most enjoyable." Seven senior players, including three PCC members (Raghu Iyer, Raymond Wood and Richard Peperell) attended our Croquet Tournament Management Course in the PCC Thames Room today. 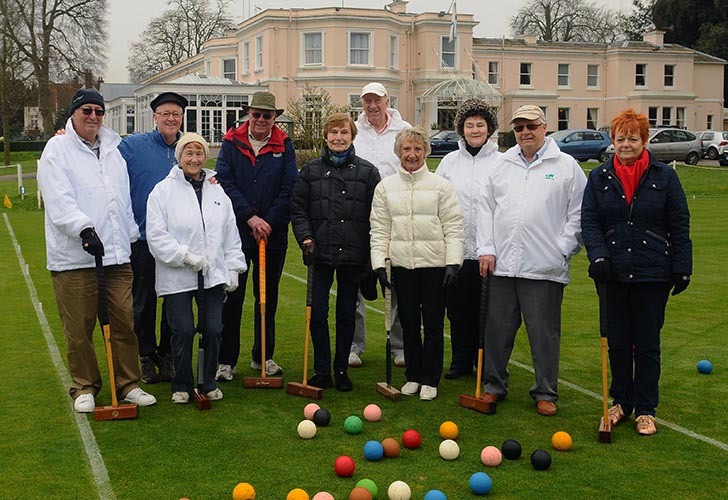 Hosted by experienced croquet managers Frances Colman and Chris Roberts, the course was an all-day affair which mixed detailed explanations of the Croquet Association's Tournament Regulations and the entire procedure for organising and running of a serious (and internal club) tournament. This was interspersed with some practical exercises that included dealing with unexpected problems that can arise for a tournament manager. Also in attendence were SCF Secretary Steve Fisher from Harwell, Vernon Gibbs all the way from Ryde on the Isle of Wight and two High Wycombe members David Warhurst and Alan Clark - not forgetting that 'our' Richard Peperell was voted in as Chairman at Wycombe on Sunday - and congratulations to him for that! 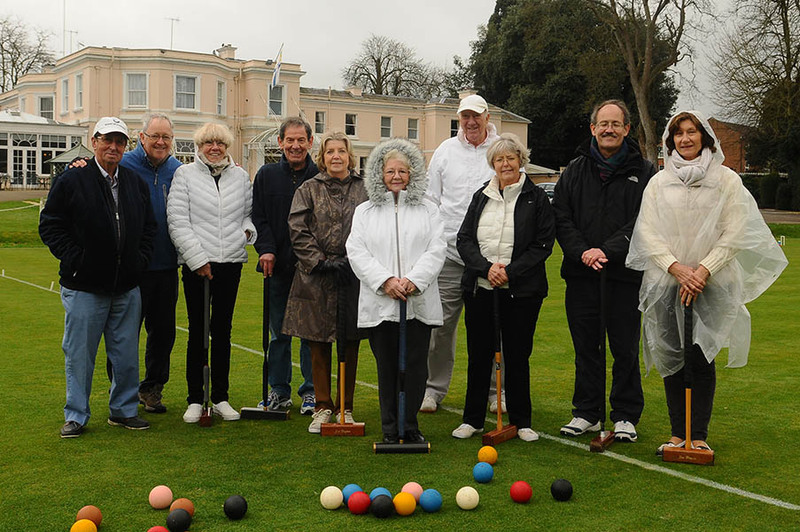 Apart from 'breeding new tournament managers' for Phyllis Court, the other mentioned clubs and indeed croquet as a whole, the course also brought in valuable income to our Croquet Club (expected profit to be in the region of £200). 16 players with a wide range of experience took to the courts today under the watchful eye of Frances Colman, Raymond Wood and Chris Roberts. This was our first 'Improvers' Coaching event for some years and proved so popular that the attendees were split into two classes; morning or afternoon. A more attacking style of play was the order of the day with harder 'clearances' and hoop running being the main areas focussed on. Four members applied after the event was fully subscribed showing that there is likely to be interest if another similar event were to be staged sometime soon. Look out for news of that on your e-mail. The UK's best coach Cliff Jones visited Phyllis Court to deliver the first Rules and Referees Course in our region yesterday and today - and simply excellent it was! Raghu Iyer and Peter Haydon from PCC were among the attendees trying to qualify for a Referees’ badge, along with four other players from High Wycombe and Roehampton. Additionally our Richard Peperell (already qualified as a referee) and both Ian and Delia Norris, all attended the first day only which dealt with understanding the finer poits of the GC Rules. The second day recapped the first for those taking the examination, which was split between a written paper and an 'on-court' practical scenarios. 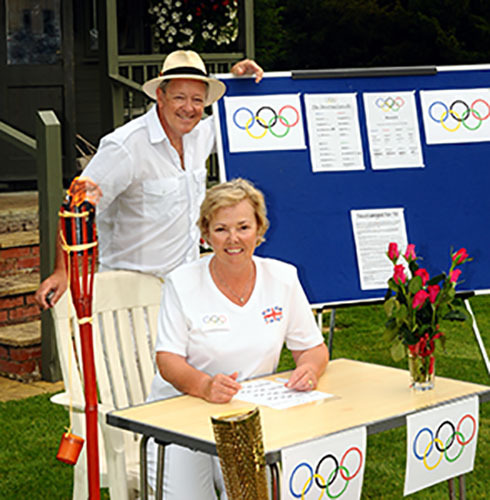 Frances Colman and Chris Roberts hosted the course and assisted Cliff throughout. 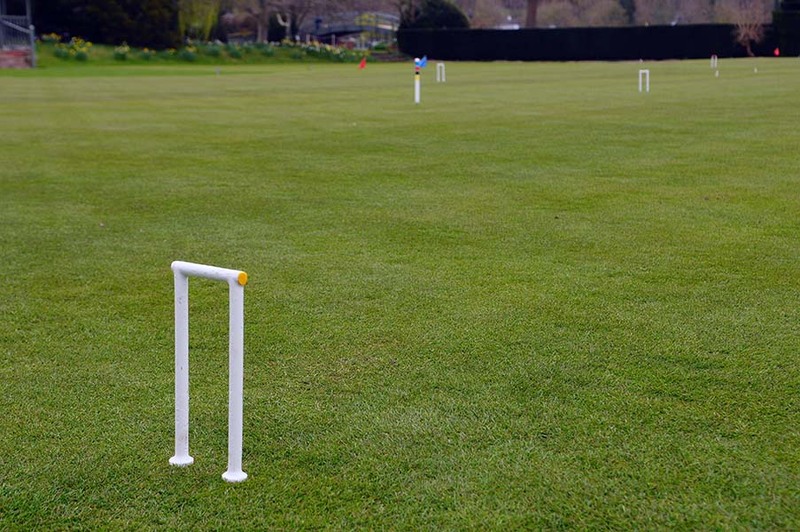 The primary reason for running this (and the tournament management course) is for the betterment of croquet at Phyllis Court and in wider circles and I am sure that you will agree that this is a ‘good thing’. A nice bi-product of this initiative however is that these two courses will turn a profit of approx. 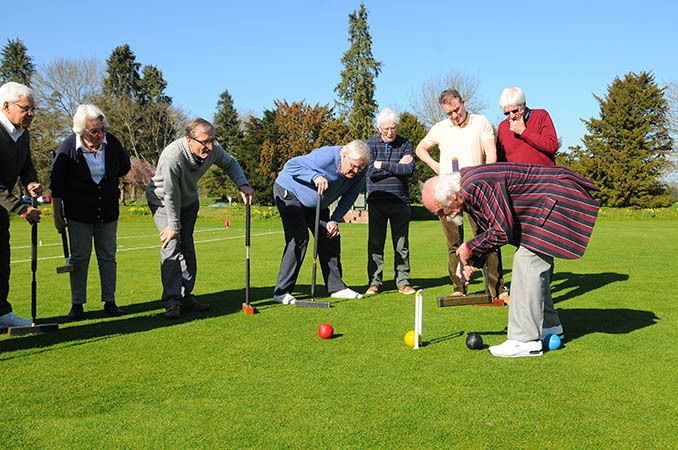 £400 for our croquet club! 26 March - League Team Squads and Fixtures announced - along with 'Local Friendlies' info. Details of our Competitive League Team Squads, Fixtures and selection policy were sent to members today. Frances Colman has done her usual great job in organising all these fixtures - it's a huge undertaking each year - thank you very much Frances! Also dispatched today, was an invitation to those who would like to play in our 'Local Friendly' team matches. The first of which is not far too long away: v High Wycombe at home, 1300 on Friday 28 April. E-mail Chris if you would like to play in this fixture (or just register you interest in ‘Local Friendlies’ generally). Frances Colman, Richard Peperell, Raghu Iyer and Chris Roberts attended High Wycombe CC for a two day Coaches Qualification course with top UK coach Cliff Jones (who was at PCC last week!). Richard and Raghu were working towards their Club and GC coaching badges. Frances and Chris were seeking to add AC qualifications to the GC authority already held. It was a good course, but sadly hampered by heavy rain on the second day. Two days of dedicated maintenance on our courts by Head Gardener and his staff, has proven dividends for us. The promised shorter grass has been delivered and the courts look fabulous and right on time for the start of the Summer season on Saturday (1st). Please remember to wear your whites from that day on (no problem if someone forgets in the first week, please do play).